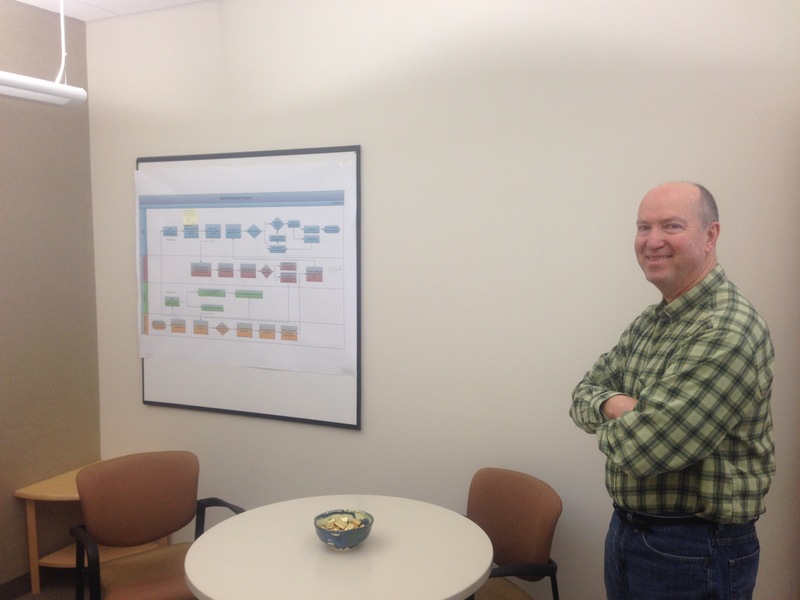 Jeff Walter stands next to the future state process map of the GSFPM Invoicing Process which he and his team improved by approximately 50%. In April of 2014, Jeff and fifteen other Denver employees went through Peak Academy’s week-long Black Belt training and were equipped with the tools necessary to identify and eliminate process issues with their teams. After Black Belt training, Jeff hit the ground running to be the first in his cohort to implement and document an innovation known as the Denvergov-Purchasing Website Portal Cleanup. This innovation decreased the time customers spend looking for valuable information on the Purchasing website by removing outdated content and making the site easier to navigate. Resulting in an increase in the time customers spend looking at the site’s more valuable information . This innovation resulted in roughly $25,000 dollars in customer time saved per year. But Jeff did not stop there. After he implemented the Denvergov-Purchasing Website Portal Cleanup, he went on to improve the Purchasing Production Board which increased his team’s communication by over 25%. 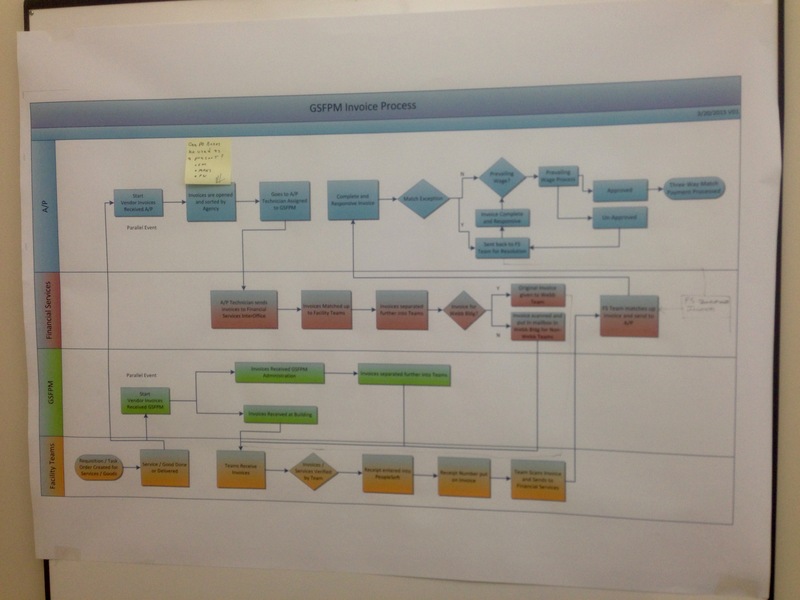 A year later, he helped his team identify and eliminate process inconsistencies found within the GSFPM Invoicing Process. They worked with over 12 vendors to improve and establish the process’ standard of work, and streamlined approximately 5 of the process’ sub-processes, resulting in a service level improvement of more than 50% and a savings of $70,000 per year in customer and employee time. Jeff says, “The innovation process and successes are absolutely worth working through all of these barriers and challenges.” Which is why he and his colleagues have identified, actualized and saved over $100,000 in customer and employee time. They believe in the process of continuous improvement. He says, “We have made wonderful progress with many processes that have saved the city a lot of money for minimal investment.” Which goes to show that the summation of a few and worthwhile improvements can have a vast and positive impact on us all.